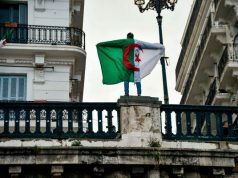 After saying he would address questions about Algeria later, Mustapha El Khalfi refused to comment on the protests in Algiers. 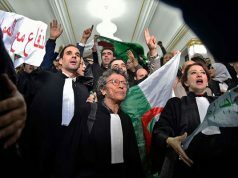 Rabat – Moroccan Government Spokesperson Mustapha El Khalfi refused to express the government’s opinion on the protests in Algeria. 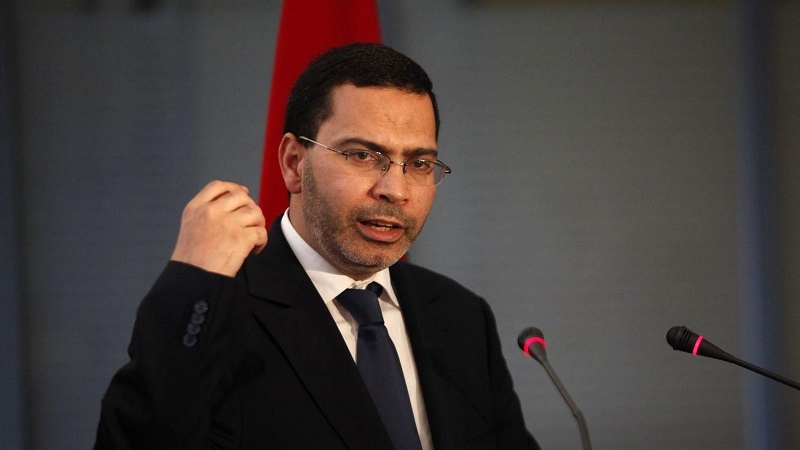 In a press conference that followed the weekly meeting of the government council on Thursday, El Khalfi received several questions about Morocco’s position on what is happening in Algeria. 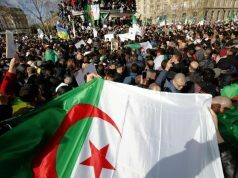 In contrast, France has commented on its former colony’s protest and said that it is up to Algerians to decide their future. 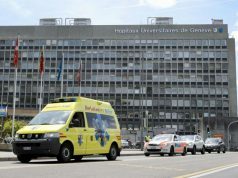 “We must let the electoral process unfold,” said foreign minister Jean-Yves Le Drian on Wednesday. 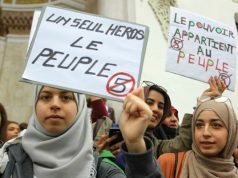 The shared and historical links with Algeria continues to give France clout through close diplomatic, economic, and security ties, as well as the large Algerian diaspora in France. 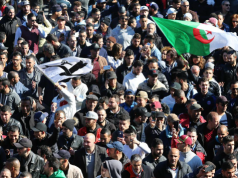 For two weeks now, thousands of Algerians have been protesting the announcement that President Abdelaziz Bouteflika is running for a fifth term in office, calling him not to stand in the election scheduled for April 18.